The idea of open plan living is that it opens up a small space to make it feel larger and give you greater flexibility over its use. However, sometimes it can have the opposite effect. 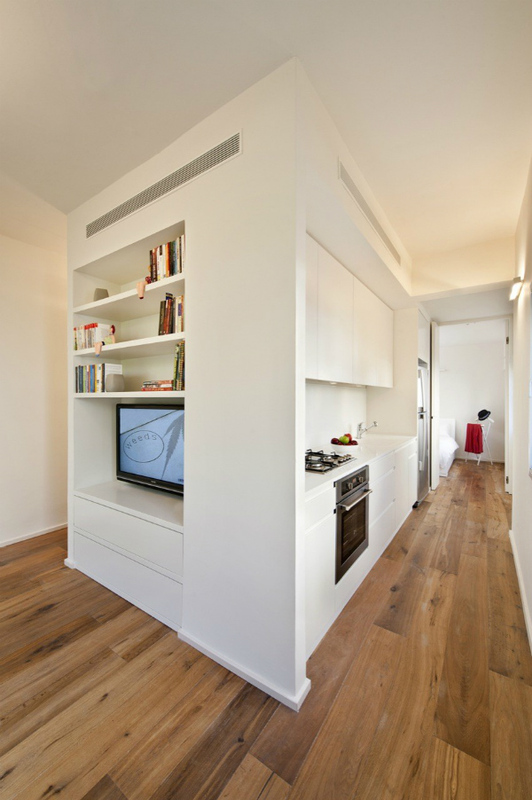 The problem with open plan spaces is that because you have fewer walls, there’s often less space for storage. In turn, that can have a knock on effect of making your home look more cluttered – especially if it’s a small apartment. Then there’s the issue of privacy. Sometimes we would prefer to sit in a secluded corner of our home. You might want to relax in the evening with a book or watch a film without a view straight across to your kitchen. Or want a measure of cosiness that an open plan room doesn’t always provide. Shelving units can be the answer to both these issues. In addition to being a storage solution, you can use them as room dividers to zone up an open plan space. So in one fell swoop they solve two design dilemmas. 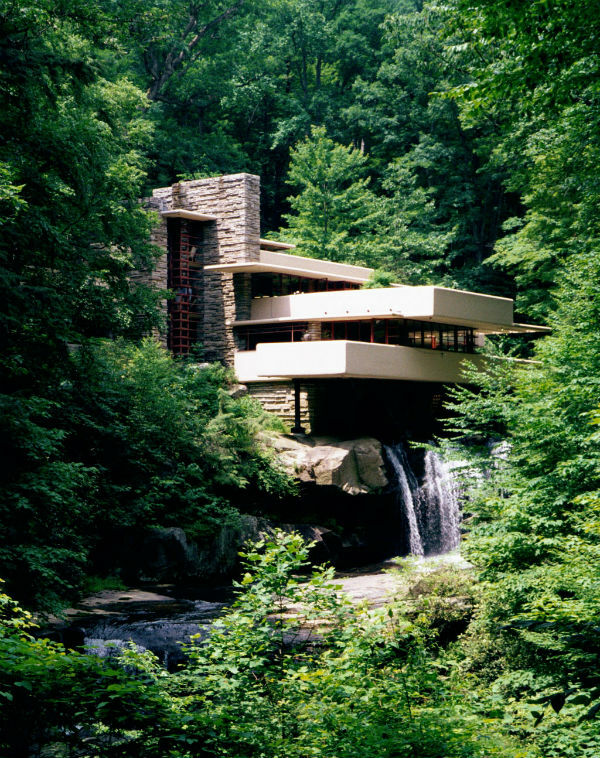 What is the biggest interior design dilemma you have with your home? If it’s to do with not having enough space, then you’re not alone. A study carried out by the University of Cambridge found that homes in the UK are among the smallest in Europe with the average new build now covering just 76 sq m! And when I sent out a survey to some of our blog readers and customers, asking a question in a similar same vein, the replies I received correlated with this. The number one answer was more storage space, followed closely by get rid of clutter and in third place, to have bigger rooms. It was because of those replies that I finally decided to write a book I had been considering for a while. An interior design ebook giving you space saving ideas and storage solutions to make your home look bigger and maximise your space. 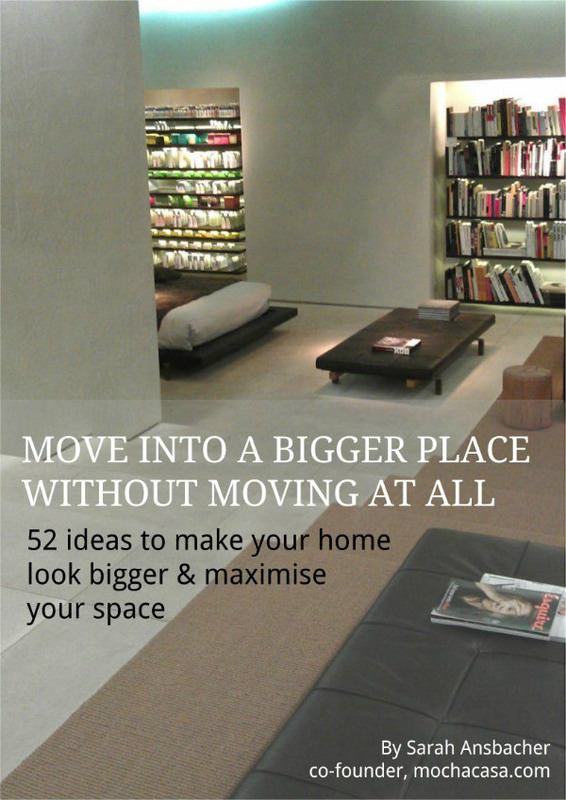 So I’m delighted to announce the launch of: Move Into a Bigger Space Without Moving at All – 52 ideas to make your home look bigger and maximise your space. 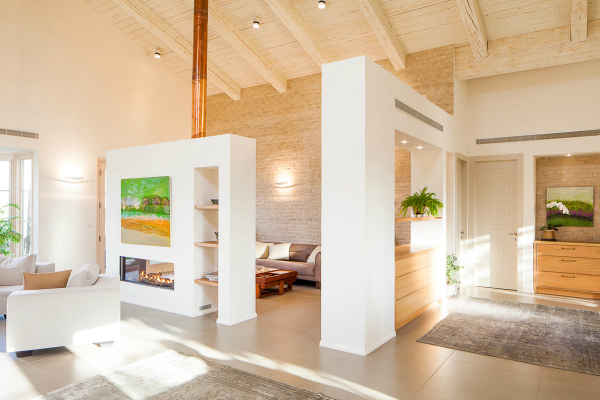 Have you ever noticed that the interiors of small homes are often far more creative than larger ones? When space is limited, you have to be very inventive with it. I recently came across this breathtaking little duplex apartment. And it illustrates perfectly what can be achieved with well-considered, innovative design. 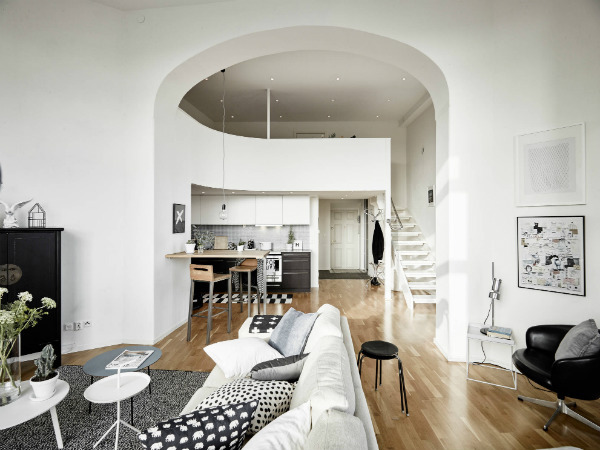 Located in Gothenburg, Sweden, in a building dated from 1906, this unique one bedroom apartment measures just 62 square metres in size. But a combination of meticulous planning and styling together with amazing natural light and architectural features gives it a spacious and airy feel. And makes it appear much larger. 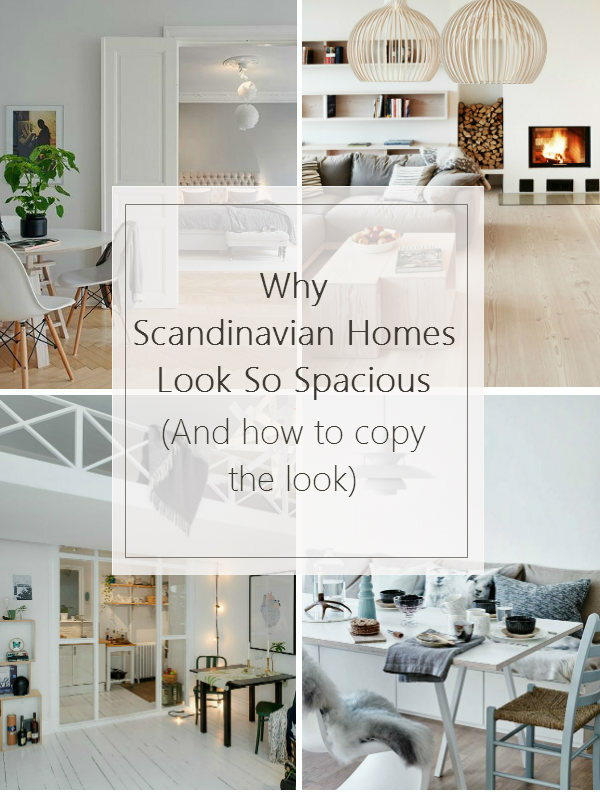 The epitome of Scandinavian design, there is so much to love about this apartment. 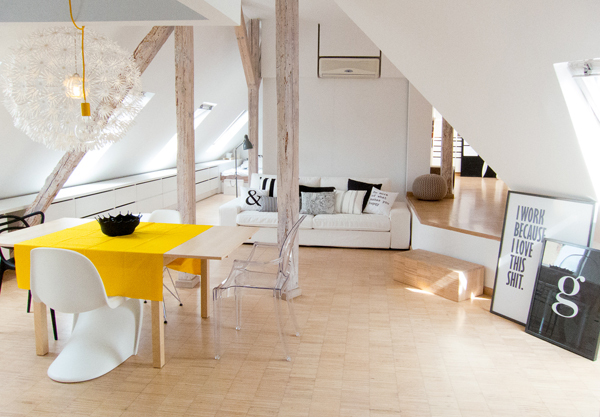 This flat in the attic of an old tenement house in Poland was designed as a live / work space for a couple who are both graphic designers. Compact in size, and with a sloping ceiling, the flat could have felt small and cramped. But with smart use of space and interior design techniques, Sabina Królikowska of INSIDE home design has created a beautiful airy apartment which feels very spacious. And aspects that could have made it an awkward space are transformed into features which turn it into an extraordinary home. The apartment is full of inspired decorating and interior design ideas. So I thought I would highlight some of them that you could use in your own home.